According to Walpole, his T880 52-inch sleeper trucks with the PACCAR MX-11 each save more than 1,300 pounds in weight compared to the previous truck and sleeper combination the company was running in the same application. To start, the PACCAR MX-11 engine is 400 pounds lighter than a 13-liter engine. 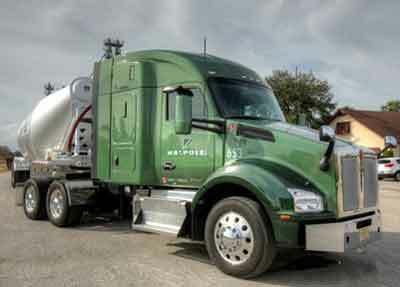 Walpole also saves the following weight by specifying the 10-speed Eaton Fuller Advantage(TM) transmission (165 pounds), wide-base tires (504 pounds), plus aluminum fifth wheel and air tanks (251 pounds). 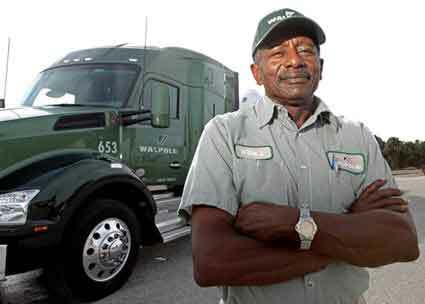 Willie Jackson is Walpole’s most senior driver and has driven for the company for 39 years.